The MSD 6-Mod ignition controllers were originally developed for Ford modular motors that were fed through a carburetor rather than an electronic fuel injection system. However, with the useful options that the 6-Mods provide, such as two rev limits, a step retard, and easy control over the timing, the EFI guys wanted a way to take advantage of the adjustment. 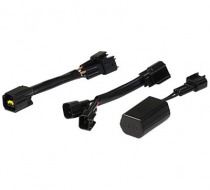 The answer lies in these new 6-MOD wiring harness kits. These new harnesses provide a splice-free installation of the MSD 6-Mod controllers to factory-equipped EFI vehicles, making installation a snap. 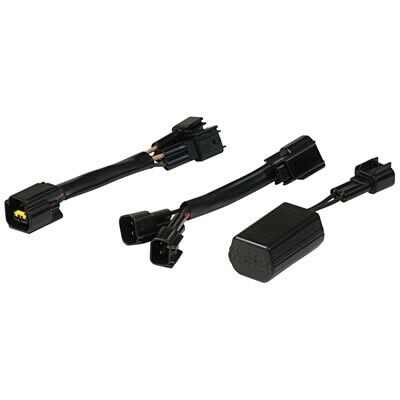 All of the connectors plug directly into the factory units, so there is no cutting or splicing of your factory wires required. The compact tach adapters ensure that the ECU and the 6-Mods receive the signals required to keep both systems operating as designed. Once installed, the 6-Mods allow users to advance or retard the factory's timing curve, program a step retard for use with nitrous systems, or even map out a timing curve through a laptop by using MSD's Pro-Data+ software.